This mod is based on gender stereotypes that don't correspond to my real beliefs. If you think they can hurt your feelings, please close this page. 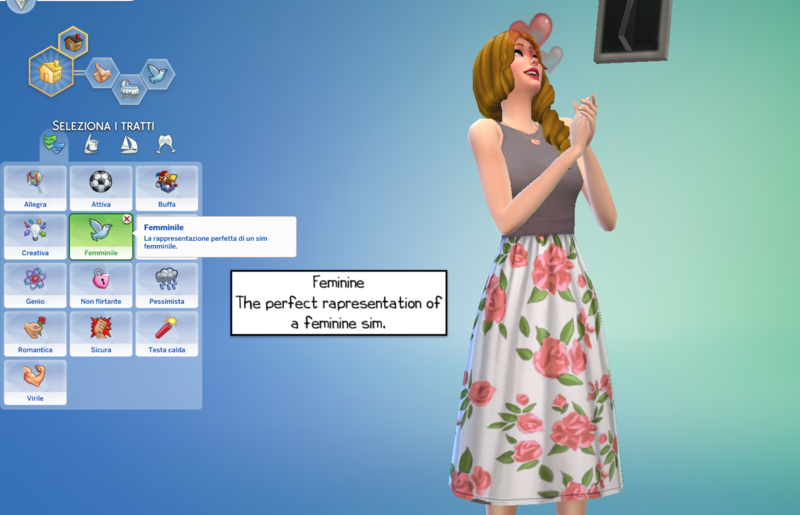 "The perfect representation of the feminine sim"
"After all... Tomorrow is another day". Don't you feel like in "Gone With the Wind"? Women love to bake. Cooking and baking skills are sooo easier to gain! Feminine sims are naturally better at some careers! Feminine sims are naturally better at some skills! Feminine sims follow some commodities! Trait made compatible with Pets patch. Only the base game is required to play. 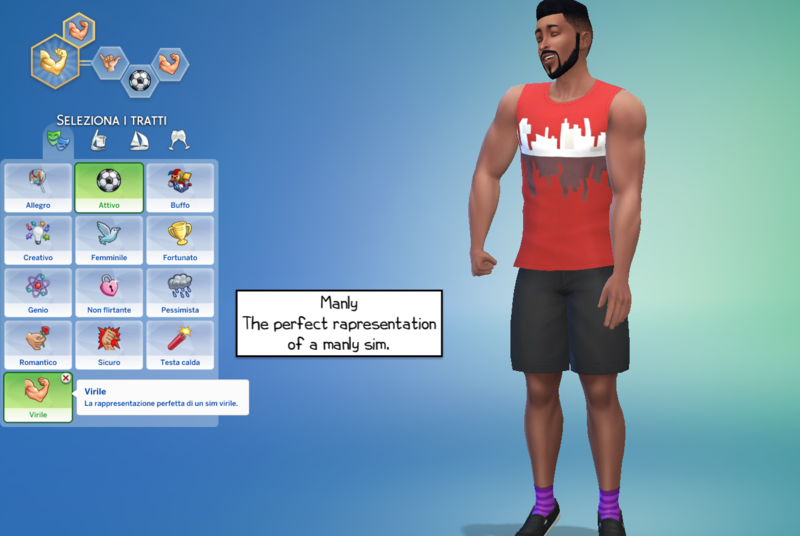 "The perfect representation of the manly sim"
"The world is full of opportunities for a manly sim". The world is yours! Men are the best in jobs' field. A lot of jobs are easier for them! 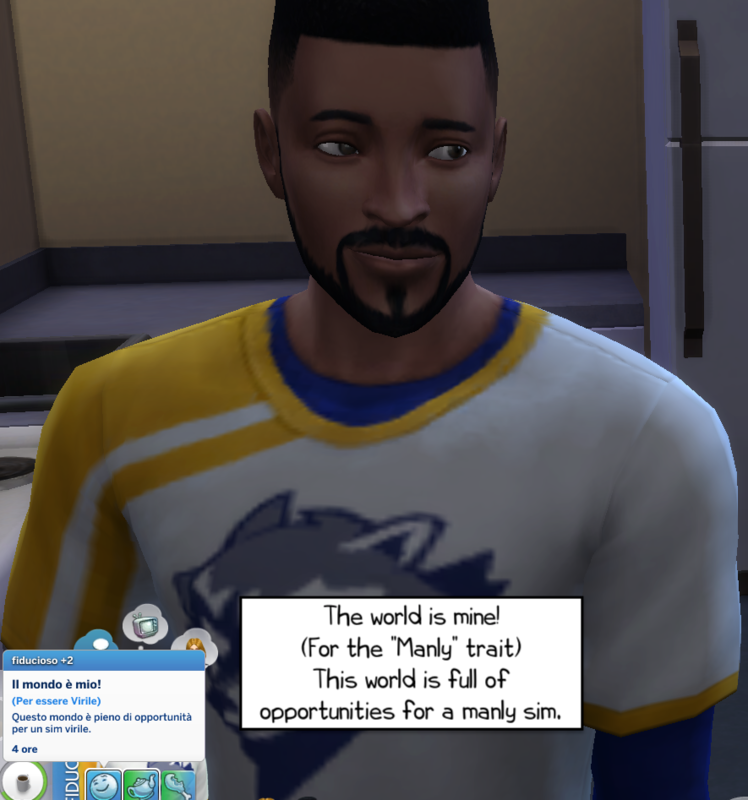 Manly sims are naturally better at some careers! Manly sims are naturally better at some skills! 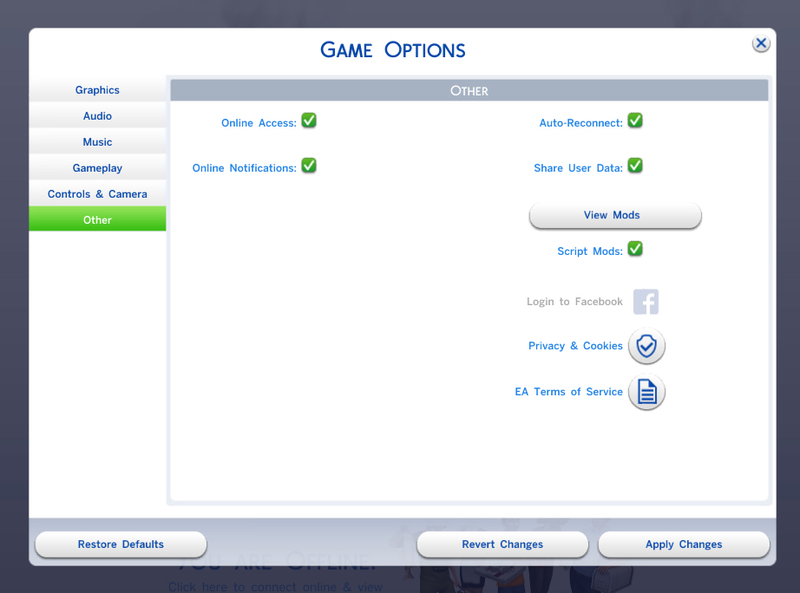 Manly sims follow some commodities! Romance relationships will increase faster (x1.15)!